Manchester United Faithful seem to be running out of patience waiting for the club to complete Alderweireld’s signature. The fans believe they stand a greater chance of signing the Tottenham defender who is out of favour with Mauricio Pochettino after seeing the player left out of Tottenham’s squad list in yesterday’s 3-1 victory over Chelsea at Stamford Bridge. 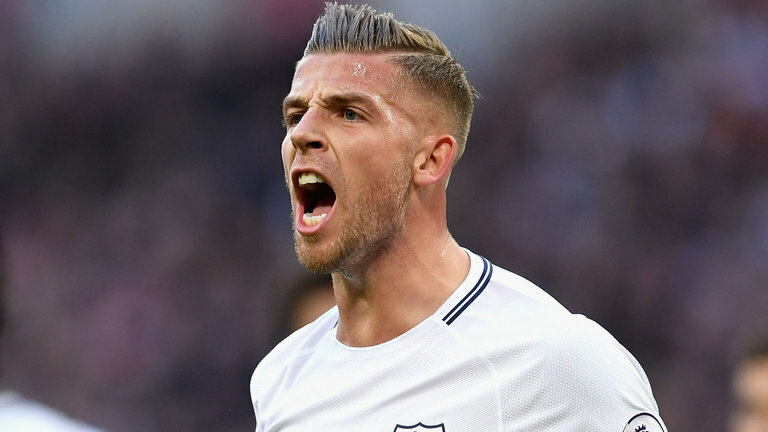 Alderweireld is not being considered in Tottenham’s starting lineup so far this season by the Argentine manager due to Jan Vertonghen and Davinson Sanchez’s great form and both players have being been a compact partners in the heart of defense for the North London club. Though not playing regularly this season, the 29-year-old still remains one of the best defenders in the league and United fans believe he will be a better addition to the Old Trafford outfits who are aiming to improve their defensive qualities ahead of next season. In their bid to see the player at United, the Red Devils’ faithful have taken to Twitter to show their desire to have Alderweireld on their team. As for Ryan via his Twitter account, he feels Alderweireld is close to joining United after being left out of Tottenham squad list against Chelsea. United Xtra advised Jose Mourinho to go for the player’s services, now that he has the chance to exploit his lack of game-time at Wembley stadium. It has been reported that Merseyside outfit Liverpool are in talks with defender Joel Matip whose contract is set to expire in the coming season. Joel Matip has been able to establish himself in the manager Jurgen Klopp team after Joe Gomez suffered an injury. He has been able to form another perfect partnership with Virgil Van Dijk since hand the opportunity. This is the reason why the club is seeking to tie him down for more years as they will hope he gives more to the team. Jurgen Klopp has earlier hinted that he would not be allowing any if how player leave the club in the coming summer transfer window as he hopes to have his team together in the coming season so that his team can win big. However, the Cameroonian signed a four-year contract when he joined on a free transfer from Schalke in the summer of 2016 and will have the next one year to be able to have his future sorted out. 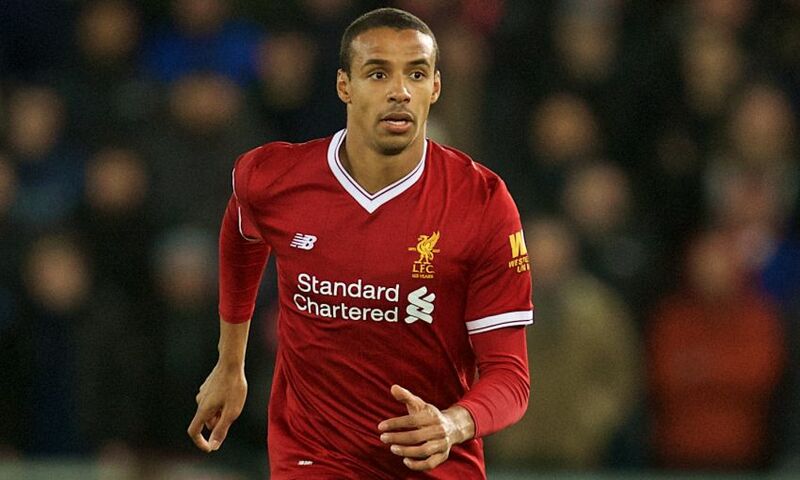 There is no doubt that the Reds team will do all it takes to land Joel Matip a new deal as he has already given the hint of his willingness to remain at the club ahead of the season. It has been hinted that Spanish La Liga outfit Barcelona could have a major advantage against Merseyside outfit, Liverpool, ahead of their semi-finals Champions League clash next week Wednesday. There are suggestions that the La Liga side could have a major rest by not playing a game between the two legs of the semi-finals clash. It has been observed that If Atletico Madrid lose to Valencia on Wednesday night in the La Liga outfit then Barcelona will be crowned champions and will not have to play most of their players play again as they would be rested for the games alone. Barcelona stars will now have the time for major rest which would give them an advantage over the Reds team as they hope to win it this season. However, the Reds team are hoping to land the Champions League this season after coming close by reaching the finals last season but were defeated by Real Madrid. Manager Jurgen Klopp has not won a title with the Merseyside outfit since he joined the club and he will be hoping to finally achieve that this season with a double to compensate for the past defeats, especially the one from the last season. 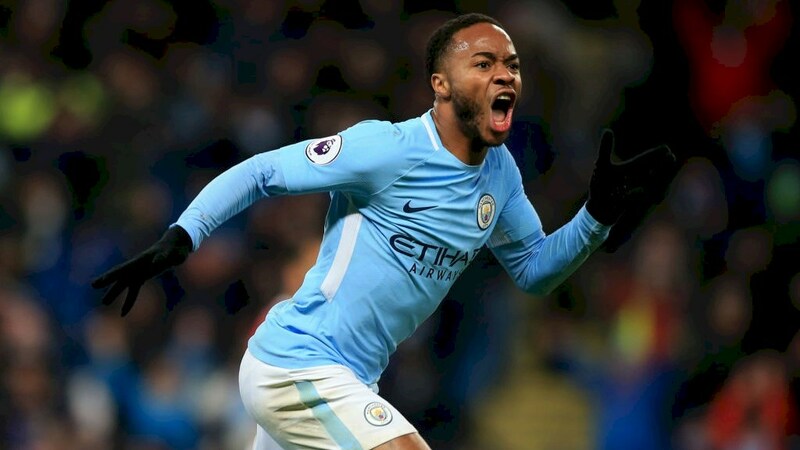 English Premier League defending champions Man City Star Raheem sterling has taken side with his England national teammate, Harry Kane to land the PFA player of the year award ahead of Liverpool star Virgil Van Dijk. The Reds star defender Vigil Van Dijk and Raheem Sterling, alongside Harry Kane of Tottenham, have been selected for the prestigious award with a number of pundits already calling the shot on who deserves the award. Raheem Sterling seems to have taken the Premier League title rivalry against Liverpool to heart as he said that the Reds defender should not be given the award. According to the Pep Guardiola star player, Harry Kane has done enough to deserve landing the award, knowing that he helped his team with a big Premier League challenge while they are also in the semi-finals of the UEFA Champions League. However, Virgil Van Dijk has confessed to having voted for Raheem Sterling after he impressed this season with 17 goals and 9 assists for the defending Champions. Meanwhile, the Liverpool star is also a front runner after he helped his team to record one of the best defenses in the English Premier League and Europe in general. There are suggestions that Merseyside outfit Liverpool have got a perfect replacement for their central defender Virgil Van Dijk who is tipped to come up the stage as fast as possible. The Reds team look more solid this season than any other club in the English Premier League in the defense department with the cleanest sheet and that has been attributed to the feat and strong form of Virgil Van Dijk. 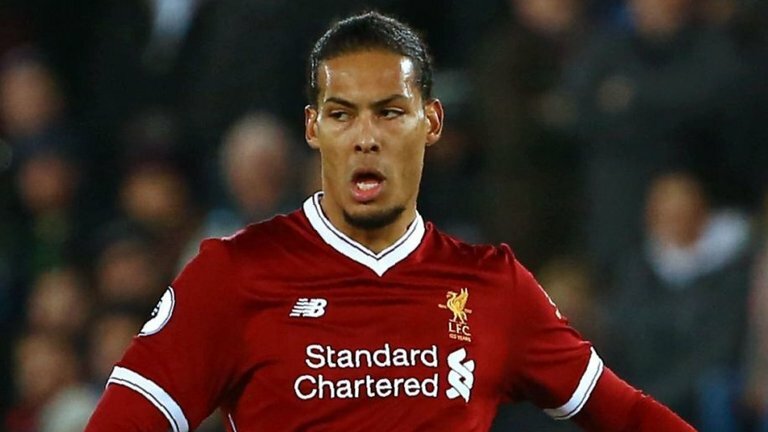 Virgil Van Dijk is now in contention for the PFA Player of the Year Award as a result of his feat this season for the Merseyside outfit Liverpool after joining from Southampton. However, Liverpool now have a young player named Rhys Williams, who has been tipped to step into his shoes with his performance and trait on the pitch, similar to that of the Netherland defender. What is more interesting about Rhys Williams is the fact that he has got the same hair type and stature as the former Southampton player to make the similarities more recognizable. Rhys Williams has therefore confessed that he has been watching the videos of Virgil Van Dijk as instructed to him by his coaches as they are currently building him up in that direction. Howbeit, the Merseyside outfit will hope that Rhys Williams continues with his development so as to be able to step into Virgil Van Dijk’s shoes. 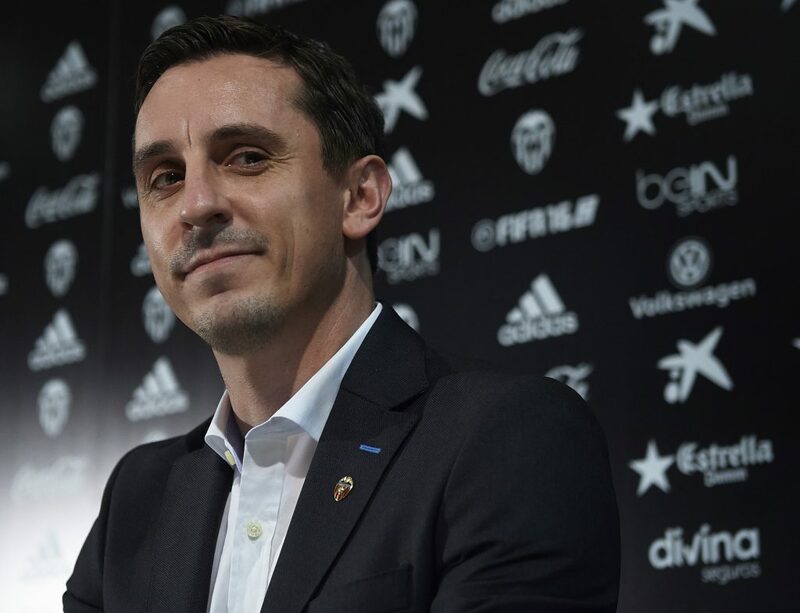 Former Manchester United right-back Gary Neville has called out several players at his former club for their poor performance in the past weeks. Manchester United have not had the best of the last one month after losing six from the last eight games in all competitions including the Premier League, FA Cup, and the Champions League. 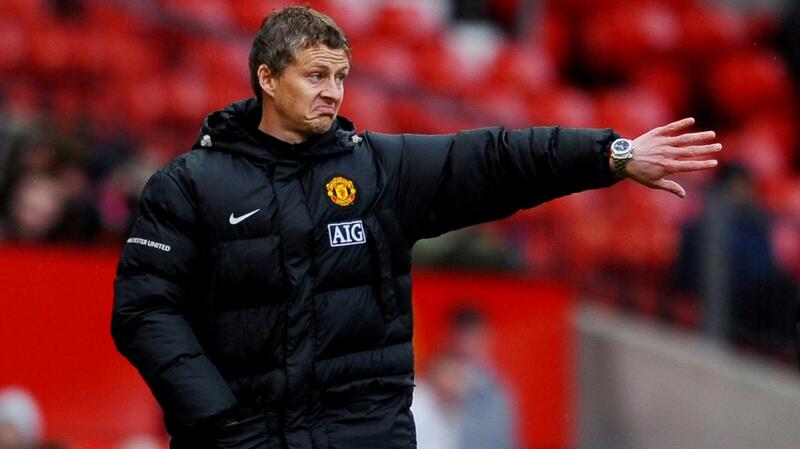 As many as six players were singled out for condemnation by Manchester United legend Gary Neville. The former Valencia manager mentioned forwards like Anthony Martial, Romelu Lukaku, Marcus Rashford and Alexis Sanchez in addition to star player Paul Pogba and shot-stopper David De Gea. According to him, the players have not covered themselves in glory during the recent poor run of form. Manchester United suffered their sixth defeat in eight games when they were beaten by Everton in their Premier League game at the weekend. The Red Devils were on the end of a 4-0 thrashing from Everton who recorded a third successive league win in front of their home fans with the result. The likes of Brazilian international attacker Richarlison, Gylfi Sigurdsson, Lucas Digne and substitute Theo Walcott were on the scoresheet for the Toffees. Manchester United have now lost five successive away games in all competitions after the Everton defeat. Tottenham Hotspur manager Mauricio Pochettino is keeping his hopes up on midfielder Christian Eriksen who’s yet to sign a new deal at the club. Argentine tactician Pochettino spoke to reporters about Christian Eriksen after the Danish international player started in their Premier League meeting with Brighton and Hove Albion on Tuesday night. Spurs beat struggling Brighton by a lone goal to strengthen their grip on third position on the Premier League table. After the game, Spurs manager Mauricio Pochettino told reporters during his post-match press conference that he’s hopeful about Christian Eriksen signing a new deal at the club. Christian Eriksen is a summer transfer target for fellow Premier League club Manchester United. The Danish international playmaker has also been touted as a potential transfer signing for Spanish giants Real Madrid. He has just one year left on his current deal at Tottenham and the North London club might need to sell him this summer if the former Ajax Amsterdam midfielder fails to sign a new deal. Christian Eriksen scored the only goal of the game for Tottenham Hotspur in their game against Brighton who are battling to avoid relegation from the top flight of English football. Eriksen has now scored seven league goals this season in addition to 12 assists. Paris Saint Germain (PSG) defender Thomas Meunier has talked about the possibility of a dream move to the Premier League amidst the interest from Manchester United. In a chat with French media outlet L’Avenir, the Belgian international reiterated his interest in a move to the Premier League before adding that he has never hidden his desire to play in the top flight of English football. 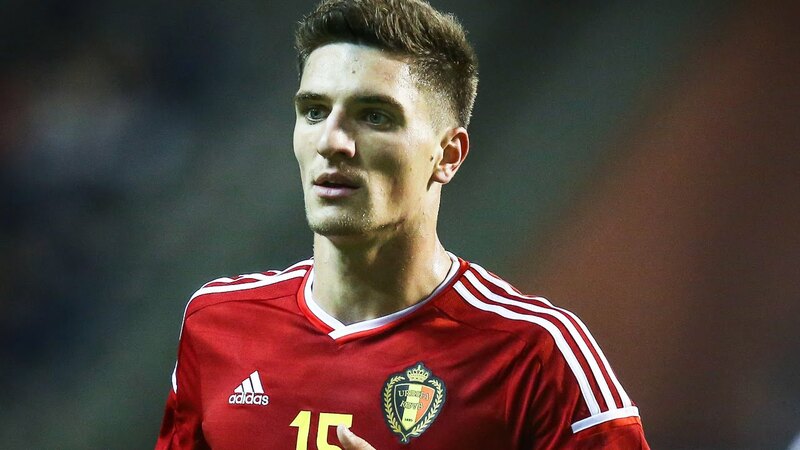 Thomas Meunier also revealed that he has interest from clubs in China and the Middle East. The Belgian right-back has made 99 appearances for PSG since his move from Belgian top-flight side Club Brugge three years ago but his time with the French champions could be coming to an end this summer. He has just one year left on the four-year deal that he signed when Meunier joined the club in 2016. Manchester United are expected to strengthen their team this summer especially on the defensive front. The right-back position is one of the areas that the Red Devils are looking to strengthen this summer and they have reportedly drawn up a three-man shortlist in their quest to sign a new player for that position. Apart from Meunier, the three-man shortlist also includes Aaron Wan-Bissaka (Crystal Palace) and Kieran Trippier (Tottenham Hotspur). Manchester United manager Ole Gunnar Solskjaer is adamant that he’s still the right man for the permanent job at the club despite the slump in form. Results have dropped for Solskjaer and Manchester United in recent weeks but the Norwegian tactician is certain that he has the qualities required to turn the fortunes of his beloved club around. The former Manchester United player was speaking during his pre-match press conference ahead of the Manchester City Derby in the Premier League. Solskjaer and his Manchester United players welcome Manchester City to the Theatre of Dreams in a league game that could decide the destination of the title with Liverpool and Manchester City going head-to-head for the right to win this season’s Premier League title. Manchester United are in bad shape ahead of the game billed for Old Trafford this night. The Red Devils suffered their worst loss of the season following their 4-0 thrashing at the hands of Merseyside club Everton at the weekend. Richarlison, Gylfi Sigurdsson, Lucas Digne and substitute Theo Walcott scored the goals for Everton for the convincing victory over Manchester United. Manchester United have suffered six defeats from the last eight games in all competitions and they are in danger of missing out on Champions League football as a result.